Do you ever think about selling your salon, even for a second, only for the thought to get taken over by fear and guilt so strong that you just push it to the back of your mind? If you are anything like me, and my guest in today’s Podcast, you’ll have experienced this more than once. This week I am joined by Kylie-Ann Kobelt, who discusses her journey with selling her Salon. As a Salon Owner, it can often feel like your Salon is your baby. This is something I hear all the time, and something that is commonly accepted among many Salon Owners. However, being comfortable with the idea of selling your Salon is something I hear a lot less. 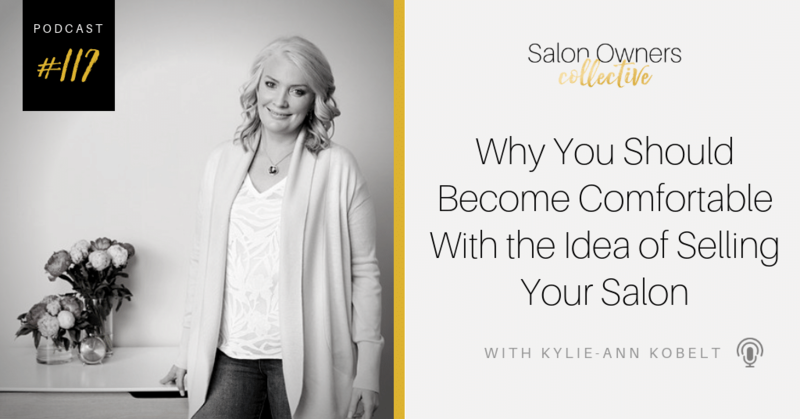 Today, Kylie will talk about how to overcome the fear and guilt that is associated with selling your Salon. She’ll tell you how she went from self-sabotage to exhilaration- and how you can do that too. It’s time to get ahead of the game. CLICK HERE for Kylie-Ann’s website and to learn more about whether you are ready to sell your salon.